Giovanna Dell’Orto is an Associate Professor in the School of Journalism and Mass Communication of the University of Minnesota. Her research focuses on international mass communication, particularly the role of the media and mediated discourses in international affairs, historically and currently. Her latest book, “AP Foreign Correspondents in Action: World War II to the Present” (Cambridge University Press, 2015), reveals for the first time the story behind the stories that have brought the world home to America, focusing on changing journalistic practices. In 2013, she published two books: “American Journalism and International Relations” (Cambridge University Press), a monograph on the interplay between US foreign correspondence and foreign policy over 160 years, and “Reporting at the Southern Borders” (Routledge), an edited volume on journalism and immigration at the southern frontiers of the US and the EU. 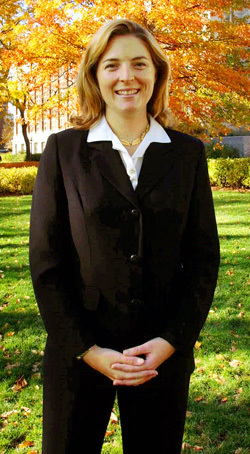 Dr. Dell’Orto received her Ph.D. in Mass Communication from the University of Minnesota in 2004. She has also worked as reporter and editor for The Associated Press, most recently in the capacity of immigration reporter. She is the author of two monographs (“Giving Meanings to the World”, 2002, and “The Hidden Power of the American Dream”, 2008), which dealt with international journalism and its ability to construct images across national borders. Together with Professor Emerita Hazel Dicken-Garcia, she has also authored a book about journalists’ understanding of First Amendment rights, “Hated Ideas and the American Civil War Press” (2007).